I previously posted a 1972 Topps card of Soria for my first “History of Joakim Soria” card, this is a newer card to match it. 2006 Topps is most noteworthy for the Alex Gordon card that wasn’t supposed to be in the set. If you are interested you can read about it here. The design of this card is one I really don’t like much, you can’t tell from my design but there was a lot of silver foil on the cards; something I am not a fan of. 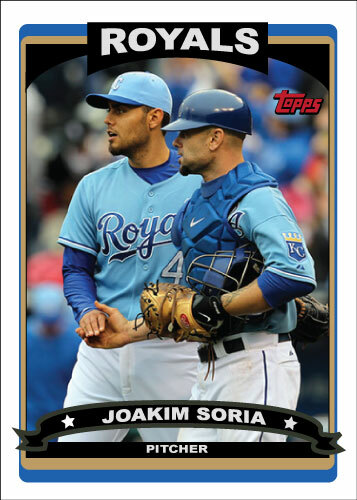 This is the last year that Soria didn’t have a real card in the set. I have decided to re-do all of his current cards however to complete the project.